The hills are alive…with malaria? Here’s one thing I didn’t worry about: Am I going to get malaria? According to a recent short blurb in The Economist, though, that question may become more common. While the global malaria incidence rate has fallen more than 20 percent between 2010 and 2015, the number of Swiss malaria cases has increased as much as 100 percent between the mid-2000s and recent years. Data from the European Centre for Disease Prevention and Control shows that this increase is not limited to Switzerland. Across Europe, malaria incidence rates are going up. We all know what to do now, right? PANIC! No, not that. First, we need to put these numbers in perspective. Yes, the number of malaria cases has doubled in Switzerland—but that’s going from roughly 200 cases per year to 400 cases. You’re probably still more likely to get caught in a molasses flood than to contract malaria on your next trip to Geneva. Second, and more importantly, these cases of malaria appearing in Switzerland and throughout Europe are generally not due to local transmission. 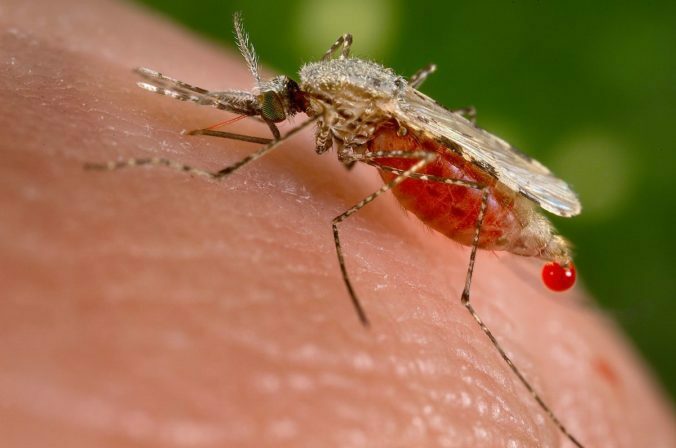 Malaria was largely eradicated from Europe by the 1970s, and most of the cases appearing on the continent now are found among migrants (though we can’t know whether people were infected in their home countries or while in transit). These facts present a few key realities to the global health community—and to international efforts to secure public goods through collective action more generally. First, this is not a reason to restrict migration or immigration. Infectious diseases find ways to move. They hitch rides with people, animals, and cargo. Some politicians have tried to argue that migration will overwhelm health services. This is an argument based on xenophobia and fear—and utterly unconscionable in the face of humanitarian crises. Second, it shows that we can’t rest on our laurels. So long as a disease is present anywhere in the world, it can move to new places or re-emerge in places from which we thought we had eliminated it. Humanity has eradicated two diseases through conscious action and effort: smallpox and rinderpest. Smallpox had been one of the most fearsome killers throughout human history, so its eradication (officially declared in 1980) represented a major triumph. Rinderpest was a disease that devastated cattle herds but did not infect humans, so it generated less attention—unless you are a cow (and if you are and you’re reading this, I have so many more questions to ask you before I ask about rinderpest eradication). This continued threat is precisely the logic behind the current polio eradication campaign. This does not mean that we should devote our energies toward eradicating all infectious diseases. That’s an ill-conceived strategy on many levels—and even if we wanted to, we have little reason to believe we’d prevail. What it does illustrate, though, is that we need to maintain and strengthen our surveillance capacities. Eliminating a disease from a country one time is simply not enough. Indeed, the history of malaria elimination in Europe proves this point. Europe was declared malaria-free in 1975—only to see the disease re-emerge in the 1980s due to political, economic, and social changes in the region. Vigilance is key—and that includes ensuring that we have robust surveillance systems in place to track outbreaks and stop them before they spread even further. Third, it demonstrates the importance of public health outreach. Tackling malaria in Switzerland—or any other infectious disease—is not merely a bureaucratic exercise; it requires engaging the broader public so they know what to look for and where to go if they need treatment. This is particularly true when looking at health issues in migrant communities, which are often isolated from the larger society. A big reason behind the push to create a mosquito emoji is to facilitate communication and outreach in a universally-recognizable manner. Right now, ongoing local transmission of malaria in Europe seems unlikely (though climate change could make that more likely), and the increase in cases in Switzerland shouldn’t induce widespread panic (of either the fear or jam band variety). If anything, though, it should be a reminder to all of us that global health is an ongoing fight—and one with which the international community needs to remain engaged.